The iron dial which is covered with red velvet has a gilt-brass chapter ring with Roman numerals, half-hour, quarter-hour and Arabic minute divisions. 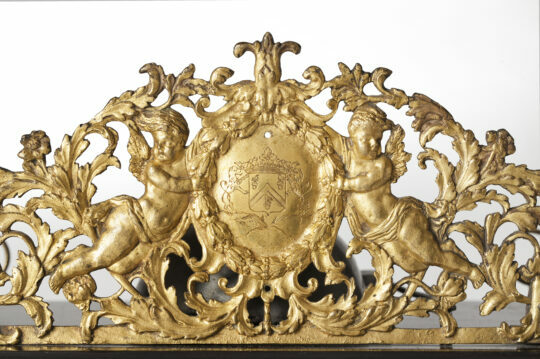 Below is a gilt cast-brass signature cartouche: Jacques Hory AParis. 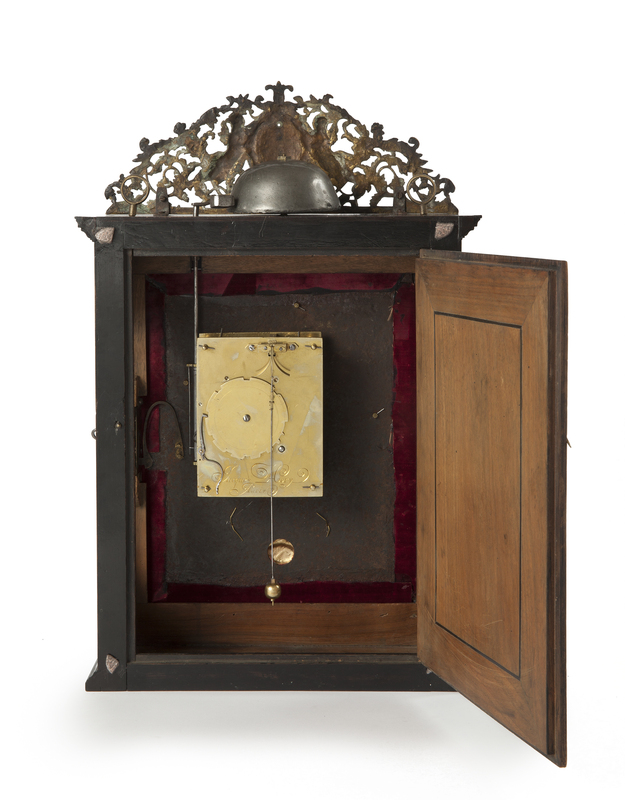 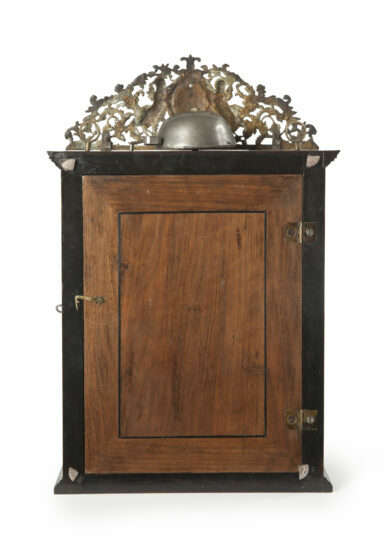 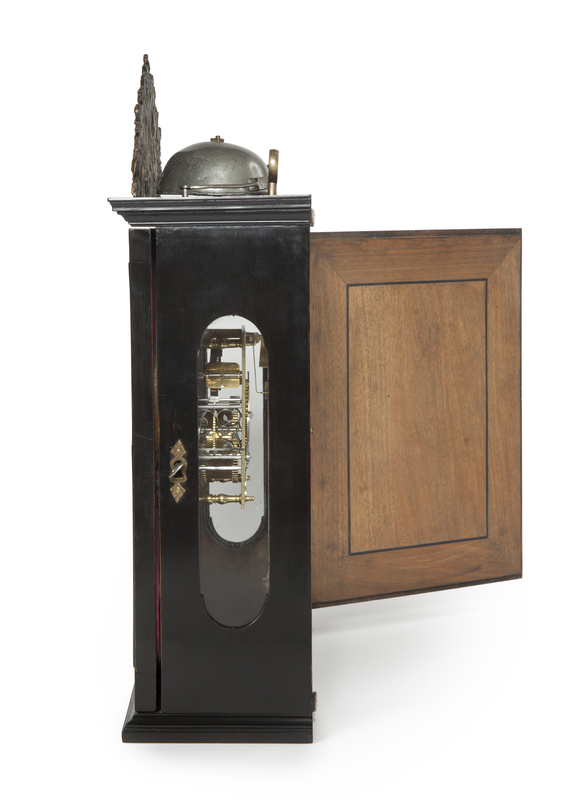 This cartouche can be lifted up to reveal a hole through which the pendulum can be set going whilst the clock is on the wall. 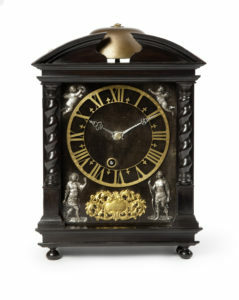 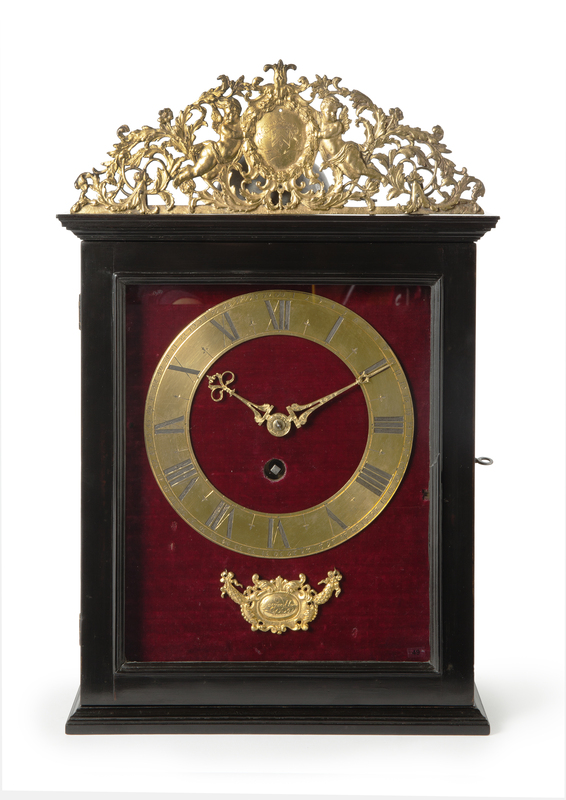 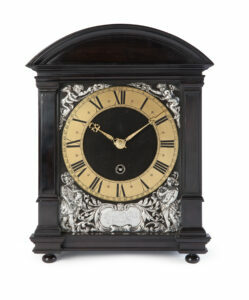 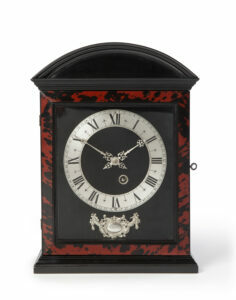 The time is indicated by a fine pair of pierced and engraved gilt brass hands. -Tardy, Dictionnaire des Horlogers Français, Paris, 191, p. 299. 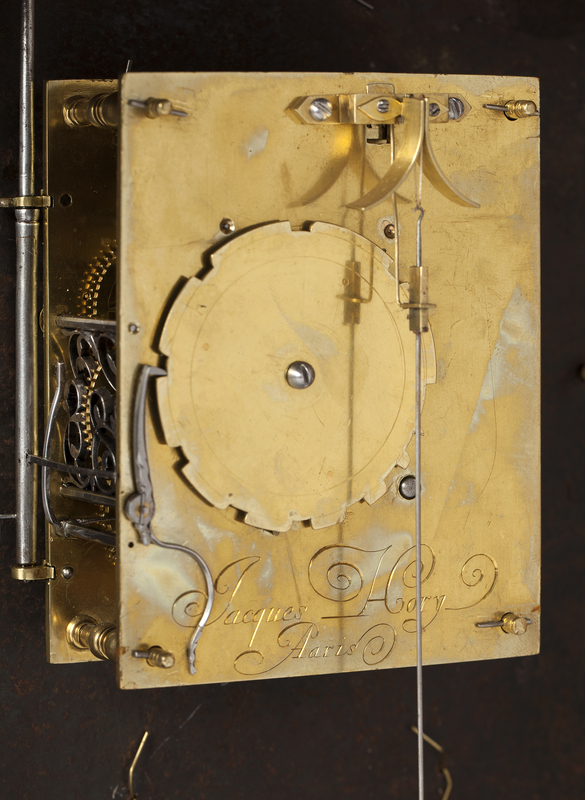 Jacques Hory (also known as Ory, Ourri, or Orri) is on record in 1650 and 1658. 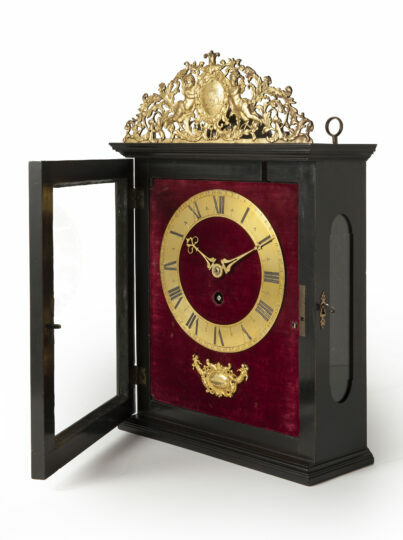 He became maître Faubourg St-Jacques, St Marcel, in 1650 and was clockmaker to the court of Louis XIV from 1673 until 1690. He is one of the early makers of pendules religieuses.